Where can you store and charge many laptops at once? 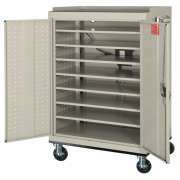 Our mobile laptop charging carts provide an easy and secure way to store and charge a large number of laptops. With multiple devices in one convenient place, it is easy to find them when they are needed. Hertz Furniture&apos;s iPad charging carts offer the perfect place to charge and store devices at the same time. 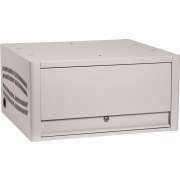 These iPad charging stations are designed to keep equipment in great condition to maximize lifespan and quality. 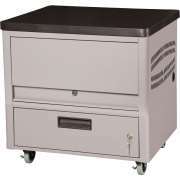 Whether you need a laptop cart for a professional or educational setting, all of our models are excellent. How should I take care of my iPads? Unlike regular equipment, electronics require special care to keep them in proper working condition. If iPads overheat or overcharge on a regular basis, their battery life will shorten significantly, causing quite an inconvenience. 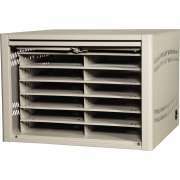 Ventilation is critical for maintaining proper working condition. 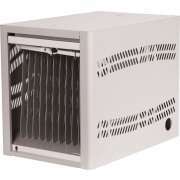 When there is adequate airflow in a laptop cart, each computer will stay properly functional for a longer period of time. How can you secure iPads in school? No matter how much you trust employees, students and staff, you don&apos;t want to take chances with costly items. Locking iPad carts enable teachers and professionals to remain worry-free throughout the day, even when they have to leave the room. These iPad charging stations have sturdy shelving which provides proper support to devices to maintain correct positioning. With a design that maximizes space while keeping each device positioned correctly, you can fit many iPads in a small area. Keeping a computer in proper working condition for a number of years can be quite challenging. With repeated plugging in and charging, the battery life of a laptop will quickly deteriorate. Many of our laptop storage carts have built-in timers which can be programmed to shut off after a certain amount of time. This simple solution prevents overcharging, while ensuring that computers are powered-up and ready to go when you want them. How can I charge many devices at the same time? No classroom has enough outlets for all students to plug in laptops at the same time. The seemingly simple solution to this predicament is to fill the modern learning space with power strips and extension cords, so you can bring technology into the classroom. However, this arrangement will create a significant tripping hazard which is dangerous for students and potentially damaging to computers. With wires stretched across the room, students are bound to trip, causing expensive devices to go crashing to the floor. iPad charging stations keep multiple devices plugged into one iPad cart so there is no tripping hazard and devices will not get knocked over. 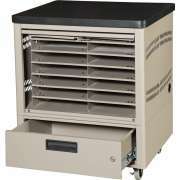 With all of the funds that you need to invest to provide devices for the classroom or training room, it&apos;s definitely worth getting an iPad charging cart to ensure that they can be powered up in a safe and efficient way. The simple solution for bringing laptops into a learning space without having to add lots of wires and outlets it to charge laptops before you need them. 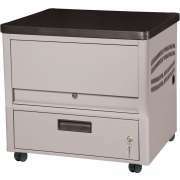 Laptop carts enable many units to be powered up at once so they are ready to be taken out and used - no cords needed. With this simple solution, when you bring computers into the training seminar, you won&apos;t have to worry about participants losing work due to low battery and automatic shut offs. What is the safest way to transport a laptop? When electronics are carried from one place to another, there is always the risk that they will be accidentally dropped or bumped into things. 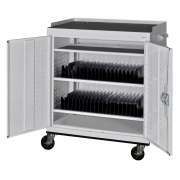 Laptop storage carts roll into position on casters, so you can move many computers at once while minimizing the risk of damage. They lock into place so there won&apos;t be any accidental laptop cart movements when computers are being put in or taken out. 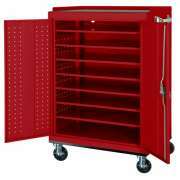 This arrangement is ideal for schools and businesses because it keeps multiple units in one place so they are easy to transport when needed. How can I secure one laptop? 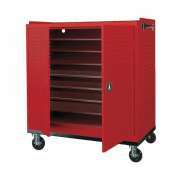 Not all companies or schools need a high-capacity cart. 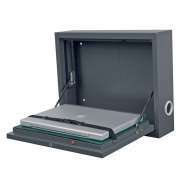 If a professional or teacher needs a place to store and secure an individual laptop, wall-mounted laptop cases are quite convenient. 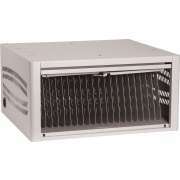 They can be mounted right next to or behind a desk so they are easy to access, and won&apos;t take up very much space. A great tablet charging station is essential in any modern institution. 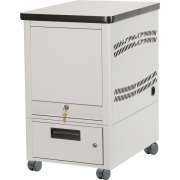 Hertz Furniture&apos;s selection of secure, sturdy, reliable tablet charging carts will keep devices charged, stored and ready to use. Don&apos;t take chances with your equipment, invest in proper storage for your iPads and laptops, so they will remain in great working condition for a longer period of time. If you need help figuring out which option will best fit the particular type of laptop or tablet you have in your school or office, contact the experts in the Hertz Design Center for free project-planning advice.